One of my good friends re-reads Avalon High a lot too! I know what you mean. Whenever I really love a book my first instinct is always to try and find books that are similar to it before I even think about re-reading it! Isn't Avalon High just the most re-readable book? 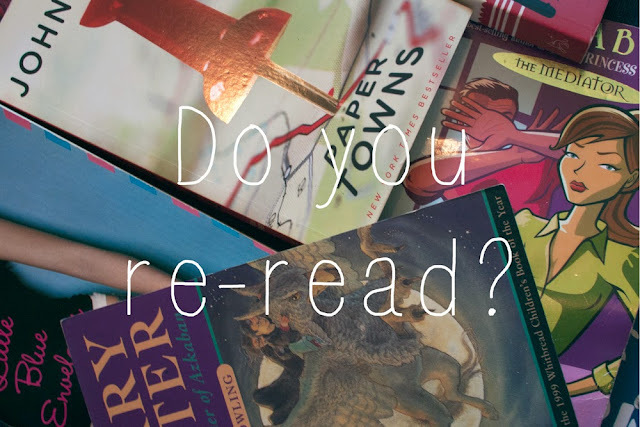 I totally agree with you, it doesn't matter how many times I re-read something like the Harry Potter books, every time I do I find new things that I've never caught before, or just find myself reacting to things differently because I'm different now. It's such a pain, isn't it? I'm trying to re-read more books this year but I just can't get all of those unread books out of my mind! It is definitely true that your view of characters and the plot changes at different points of your life. For example, I'm pretty sure I did not think of Harry Potter and his friends as tiny children who needed to be protected at all costs when I was a child myself haha. I am so glad to hear that I am not the only person who finds Avalon High so totally re-readable! I always forget to re-read books before the sequels come out and then I get so confused while I'm reading the new books. Your way is definitely better!